Educational Enrichment, Digital Empowerment and Life skills are the three main pillars of VIDYA and Reading with Comprehension is a key objective of the Educational Enrichment Pillar. Over the years, VIDYA has built in steps to strengthen Literacy. A structured Reading Program has been built in our Beyond School offering. 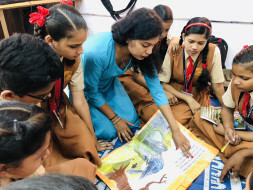 An Open Reading Corner in all the VIDYA Centers, a Weekly Reading Hour and a Culture of Celebrating Reading via Lit Fests and Summer Reading Corners that are open to the Community. The VIDYA Language Pedagogy is a progressive one, one that believes that the Story, the Poetry and the Arts Expression form the basis of Language Learning as proven by research. VIDYA has a mixed blend of teachers from the communities and beyond. Capacity building of teachers is one of the core focus at VIDYA. In 2017 and 2018 we partnered with Pomegranate Reading Wings (funded by Australian High Commission) to strengthen our Reading Program. These were held on Saturdays afternoons, post the VIDYA programs. They brought to VIDYA the pedagogy of Story Reading and also provided a structure to measure the progress of the child. 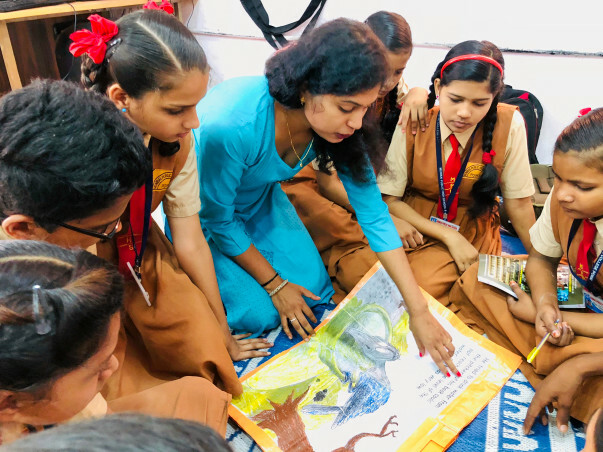 The intervention has motivated teachers to become facilitators for conducting Reading Program, thereby making the program more energetic and interesting for the students. The finale of the Program will showcase the prowess and capability of the teachers. This platform would also help teachers to realize their skills and be more confident while presenting. Thank you for the support. 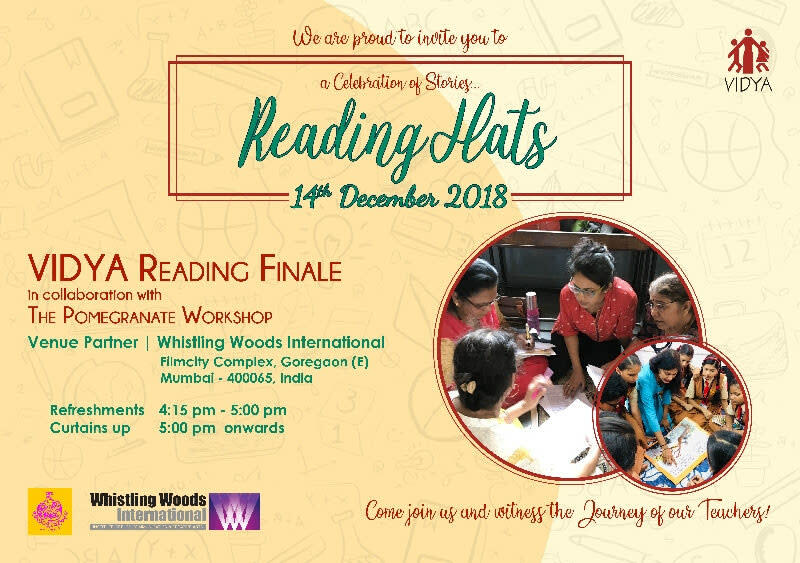 Please do come for the event on 14th at Whistling Woods, Mumbai. May Vidya grow in strength to spread Vidya!!! Enabling a child to read is like teaching a man to fish. It's a life skill. Proud of you Vidya, and the work you do. Best wishes to VIDYA for recognizing the need to read - For A Child Who Reads becomes an Adult who thinks..